Breida (ankle) is listed as questionable for Thursday's game against the Raiders, Matt Barrows of The Athletic reports. Analysis: Until the 49ers actually opt to give Breida a respite, he should be available on gamedays. In the Week 8 loss to the Cardinals, Breida led the backfield with 31 (of 66) offensive snaps, earning 16 carries for 42 yards. Meanwhile, Raheem Mostert (12 snaps) and Alfred Morris (11) combined for eight rushes for 46 yards. Breida (ankle) was listed as a limited participant at Tuesday's walkthrough, Nick Wagoner of ESPN.com reports. Analysis: Breida has been limited through the first two practices of the week, although both sessions have been walkthroughs due to the short week of preparation for Thursday's game against the Raiders. The 23-year-old was expected to be limited heading into Sunday's game against the Cardinals but still received 16 carries and generally appeared no worse for wear. Breida appears on track to be ready for Thursday's Bay Area matchup. Breida (ankle) was listed as limited on the 49ers' estimated injury report Monday, Matt Barrows of The Athletic reports. Breida (ankle) carried 16 times for 42 yards during Sunday's 18-15 loss to the Cardinals. Breida (ankle) is listed as active Sunday in Arizona. Analysis: Per usual, Breida will put aside any concern about his health and suit up. However, per Adam Schefter of ESPN, Breida's snap count is expected to be limited, likely to avoid the early departures that have befallen him the past few games. With that knowledge, Breida may start but yield a fair amount of the backfield reps to Raheem Mostert, who has totaled 23 touches the last two contests. Meanwhile, Alfred Morris also is available for the occasional snap. Breida (ankle), who is listed as questionable for Sunday's game against the Cardinals due to an ankle injury, is expected to play but will be limited, Adam Schefter of ESPN reports. Breida (ankle) is listed as questionable for Sunday's game at Arizona, Darren Urban of the Cardinals' official site reports. Breida (ankle) returned to practice Friday, Nick Wagoner of ESPN.com reports. Analysis: While he'll probably be listed as a limited participant, Breida's ability to practice in any capacity at least gives him a shot to play in Sunday's game at Arizona. He tried to play through the same injury during last week's 39-10 loss to the Rams, but he was removed from the contest early after aggravating his mid-ankle sprain. Breida played through shoulder and knee injuries earlier this season, proving his ability to produce at a high level while dealing with pain/discomfort. Breida (ankle) didn't participate in practice Thursday, Nick Wagoner of ESPN.com reports. Breida (ankle) won't take part in Wednesday's practice, but coach Kyle Shanahan said the running back's condition has improved since Sunday's 39-10 loss to the Rams, Cam Inman of The San Jose Mercury News reports. 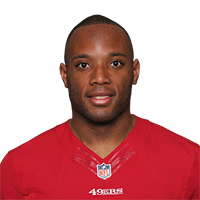 Head coach Kyle Shanahan said that the team will have to reassess the health of Breida's ankle this upcoming week, Matt Maiocco of NBC Sports Bay Area reports. Breida (ankle) returned to Sunday's contest against the Rams, Matt Maiocco of NBC Sports Bay Area reports. Analysis: Breida opened the game by injuring his left ankle on a two-yard carry, and after missing the rest of the 49ers' first two possessions, he had the ball ripped out of his hands by Aaron Donald to kick off the third drive, marking the first lost fumble of his career. Assuming he remains in the game, Breida will have to split reps with Raheem Mostert and Alfred Morris. Breida is questionable to return to Sunday's game versus the Rams due to a left ankle injury, Matt Maiocco of NBC Sports Bay Area reports. Analysis: After the 49ers' first offensive play, a two-yard run by Breida, the running back went to the sideline with a slight limp and had his left ankle wrapped by the medical staff. He injured the same ankle Week 5 against the Cardinals, a contest that he was unable to reenter. It remains to be seen if he'll be able to gut it out on this occasion. If he's unable to, Raheem Mostert and Alfred Morris will compose San Francisco's backfield. Breida (shoulder/ankle) doesn't carry an injury designation into Sunday's game against the Rams, Nick Wagoner of ESPN.com reports. Breida (shoulder/ankle) was limited at Wednesday's walk-through practice, Matt Barrows of The Athletic reports. Breida rushed 14 times for 61 yards and a touchdown in Monday night's 33-30 loss to the Packers. Analysis: Breida surprisingly overcame ankle and shoulder injuries to suit up Monday, leaving backup Alfred Morris without any touches on the night. In fact, it was unknown teammate Raheem Mostert who led the Niners with 12 carries for 87 yards. Nonetheless, Breida showed his toughness in playing Monday, averaging over four yards per carry for a fifth straight game while handling a season high in carries to boot. Breida (shoulder/ankle) is listed as active Monday in Green Bay. 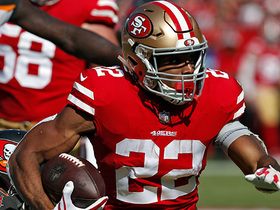 Analysis: Breida has progressed from 'doubtful' in the mind of coach Kyle Shanahan last Monday to active within the span of a week. Due to the number of injuries that have befallen him the past few months, Breida may be on a pitch count, though, especially with Alfred Morris available to the backfield. Breida (shoulder/ankle) is expected to play Monday at Green Bay, Adam Schefter of ESPN reports. 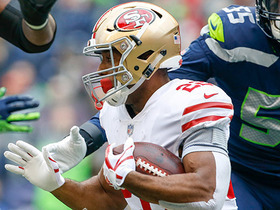 Analysis: Initially considered doubtful to play Week 6 by coach Kyle Shanahan just one week ago, Breida seemingly has progressed enough to gain clearance to suit up. If he does, Breida likely will be in some sort of timeshare with veteran running back Alfred Morris. Breida (shoulder/ankle), who is listed as questionable for Monday's game against the Packers, has improved throughout the past week and is pushing to play, Tom Pelissero of NFL.com reports. Breida (shoulder/ankle) is listed as questionable for Monday's game against the Packers and will have his availability decided on game day, Matt Barrows of The Athletic reports. Analysis: Breida was sidelined at practice to start the week but put in a limited session Saturday to keep alive his prospects of playing Monday. Earlier in the week the team considered the 23-year-old as doubtful, so he's at least trending in the right direction. Coach Kyle Shanahan said the team would elevate a running back from the practice squad if Breida is ultimately unable to suit up, which would leave Alfred Morris and Raheem Mostert to handle backfield duties for the 49ers. Breida (ankle) isn't practicing Friday, Cam Inman of The San Jose Mercury News reports. Analysis: While he hasn't yet been ruled out, Breida's continued absence from the practice field lends credence to the notion that he's a long shot to play in Monday's game at Green Bay. The Niners likely are preparing to move forward with Alfred Morris and Raheem Mostert in the backfield for Week 6, hoping Breida can make it back for Week 7 against the Rams. Coach Kyle Shanahan said at the beginning of the week that he views Breida as doubtful for Monday's game. Coach Kyle Shanahan said Breida (ankle) wouldn't practice Thursday but hasn't been ruled out from playing Monday against the Packers, Matt Maiocco of NBC Sports Bay Area reports. Analysis: Shanahan went on to label Breida as day-to-day, which comes three days after the coach called the running back "doubtful" for the Week 6 matchup. It still seems more likely than not that Breida sits out against Green Bay, but the 49ers will see if he's able to do anything at practice Friday or Saturday before deciding his fate. Alfred Morris would act as the 49ers' clear lead back Monday in the event Breida is ruled out for the first time this season. Coach Kyle Shanahan called Breida (ankle) "doubtful" for next Monday's game at Green Bay, John Keim of ESPN.com reports. Breida received good news from an MRI on Monday, revealing that his injury is a mid-ankle sprain without any significant damage, Matt Maiocco of NBC Sports Bay Area reports. Breida will have an MRI on Monday to evaluate what's believed to be a mid-to-high ankle sprain, Matt Maiocco of NBC Sports Bay Area reports. Breida (ankle) left the stadium in a walking boot after Sunday's 28-18 loss to the Cardinals, Nick Wagoner of ESPN.com reports. Breida has been diagnosed with an ankle sprain after X-rays came back negative Sunday, Ian Rapoport of NFL Network reports. Breida has been ruled out of Sunday's game against the Cardinals due to an ankle injury, Matt Barrows of The Athletic reports. Breida was forced out of Sunday's game against the Cardinals with an ankle injury. Analysis: Prior to his exit, Breida had logged eight carries for 56 yards and turned his only target into a five-yard TD. Next up for the 49ers' carries while Breida is sidelined are Alfred Morris and Raheem Mostert. Breida walked off the field during Sunday's game against the Cardinals, "slowly with some assistance," per Eric Branch of the San Francisco Chronicle. 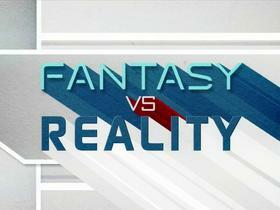 The running back was subsequently diagnosed with an ankle injury, Nick Wagoner of ESPN.com reports. Analysis: Next up for the 49ers' carries in the event that Breida ends up missing any time are Alfred Morris and Raheem Mostert. Breida (shoulder) is active for Sunday's Week 5 tilt against the Cardinals. Analysis: Breida will suit up as expected after a week of limited practice participation. The second-year back will continue to split time with veteran Alfred Morris and attempt to build on the eye-popping 7.6 yards per carry he's averaging on his first 41 rushing attempts of the season. Breida (shoulder) is expected to play Sunday against Arizona, Adam Schefter of ESPN reports. San Francisco and Arizona will kick off at 4:25 p.m. EDT. Analysis: Breida was a limited practice participant all week after aggravating a preseason shoulder injury during last Sunday's loss to the Chargers. He's averaged 99.6 yards per game from scrimmage through the first four weeks. Breida (shoulder) is listed as questionable for Sunday's game against the Cardinals, Nick Wagoner of ESPN.com reports. Analysis: Breida was a limited practice participant throughout the week after aggravating his preseason shoulder injury during Sunday's 29-27 loss to the Chargers. He still managed to gain 71 yards on nine carries and three catches while handling his highest offensive snap share (63.3 percent) so far this season. Breida seems to be on the right track for Sunday's 4:25 p.m. EDT kickoff against the Cardinals. Breida (shoulder) practiced in a limited capacity Wednesday, Matt Barrows of The Athletic reports. Analysis: Breida was wearing a no-contact jersey during the portion of Wednesday's session open to the media, so his limited designation comes as no surprise. He'll aim for an uncapped practice either Thursday or Friday, but even if he doesn't achieve that goal he should be the 49ers' No. 1 back Sunday against the Cardinals. In a Week 4 loss to the Chargers, Breida led all the team's running backs in offensive snaps (38) and touches (12), which far exceeded Alfred Morris' 14 and five, respectively. Breida continues to deal with a shoulder injury, Joe Fann of the 49ers' official site reports. Breida rushed nine times for 39 yards and caught all three of his targets for 32 additional yards in Sunday's 29-27 loss to the Chargers. Analysis: It's an impressive effort given how badly it looked like Breida had twisted his knee in Week 3. The 23-year-old saw five more carries than Alfred Morris, who was reportedly the more banged-up of the two backs entering the game. However, the Georgia Southern product also exited this contest briefly to have his shoulder examined, so he may now be dealing with multiple injuries. It looks like he pulled through healthy enough, though, and he should be able to go Week 5 at home against Arizona. Breida (shoulder) returned to Sunday's game against the Chargers. Analysis: Breida missed a few snaps to be evaluated for a shoulder injury, but he came back out for the next drive and took his first carry for seven yards. The 49ers have lost a slew of starters to injuries over the past two weeks, with their offensive line taking a beating in Sunday's contest. Breida was removed from Sunday's game against the Chargers in the second half with an apparent shoulder injury, Matt Maiocco of NBC Sports Bay Area reports. Analysis: Breida separated his shoulder during the first week of the preseason but made it back for the regular-season opener. He then suffered a hyperextended knee last week, leading to a 'questionable' designation for Sunday's game. Breida had eight carries for 32 yards and two catches for 12 yards before he was injured. Breida (knee) is active for Sunday's road game against the Chargers, Matt Maiocco of NBC Sports Bay Area reports. Analysis: In the wake of hyperextending his right knee Week 3, Breida sandwiched limited practices around a full showing Thursday. Both Breida and Alfred Morris are suiting up after tending to knee injuries, so an even split of touches likely will be their reality for a fourth consecutive game. Breida, who called himself a game-time decision for Sunday's contest against the Chargers, is expected to play barring any pregame setbacks, Adam Schefter of ESPN reports. Breida (knee) said he will be a game-time decision for Sunday's matchup with the Chargers, Eric Branch of the San Francisco Chronicle reports. Analysis: Breida was effective while playing through a hyperextended knee last week and managed full practice participation Thursday, but he then scaled back to a limited session Friday, perhaps hinting at some level of concern. His comment after Friday's practice will make it difficult for fantasy owners to trust him in their lineups with the Niners kicking off at 4:25 PM ET. Alfred Morris (knee) also is listed as questionable, but there hasn't been anything to suggest he's in danger of missing the game. Breida (knee) was a limited practice participant Friday and is listed as questionable for Sunday's game against the Chargers. Analysis: Breida sandwiched a pair of limited practices around Thursday's full participation, after playing through a hyperextended knee for most of last week's loss to Kansas City. He seems to be on track for Sunday's game against the Chiefs, but we may not know for certain until the 49ers release their inactive list approximately 90 minutes before the 4:25 PM ET kickoff. Alfred Morris (knee) is also listed as questionable after logging limited practices Thursday and Friday. Breida (knee) practiced in full Thursday, Nick Wagoner of ESPN.com reports. Breida (knee) was a limited practice participant Wednesday, Cam Inman of The San Jose Mercury News reports. Breida (knee) worked out on a side field at Wednesday's practice, Cam Inman of The San Jose Mercury News reports. Breida isn't practicing Wednesday due to knee and calf injuries, Matt Maiocco of NBC Sports Bay Area reports. Coach Kyle Shanahan told Matt Barrows of The Athletic on Monday that Breida has a hyperextended knee. Breida rushed 10 times for 90 yards and brought in all three targets for an additional 27 yards in the 49ers' 38-27 loss to the Chiefs on Sunday. 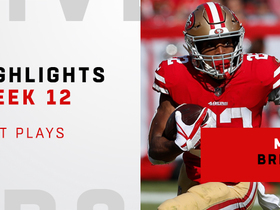 Analysis: Breida shook off an in-game injury scare involving his knee to pace the 49ers in rushing yardage for the third time in as many games to open the season. The speedy second-year back logged just one less rush than in each of his first two games despite missing time during the contest, and he played a modest but productive role in the passing game for the second straight week. He'll look to keep trending in the right direction against the Chargers in a Week 4 road tilt. Breida (knee) returned to Sunday's game in Kansas City, Nick Wagoner of ESPN.com reports. Analysis: Breida appeared to suffer a non-contact injury to his right knee in the first half, but after an evaluation, he tested it out with some jogging and cutting on the sideline and reentered the contest after halftime. As long as he doesn't aggravate the issue, he's poised to split running back reps with Alfred Morris. Breida left Sunday's game at Kansas City with an apparent right knee injury, Nick Wagoner of ESPN.com reports. Analysis: Like teammate Jerick McKinnon in late August, Breida seemed to suffer the injury as his leg got caught before taking any contact, and he spent time in the sideline medical tent, Nick Wagoner of ESPN.com reports. The 49ers will do their due diligence to hone in on a diagnosis, but it's a good sign that the second-year back was doing some light jogging on the sideline after he was evaluated. Nevertheless, Alfred Morris will head the backfield for the foreseeable future. Breida carried 11 times for 138 yards and a touchdown Sunday against the Lions. He also caught three of four targets for an additional 21 yards in the 30-27 win. Breida rushed 11 times for 46 yards and brought in one of two targets for five yards in the 49ers' 24-16 loss to the Vikings on Sunday. Analysis: Veteran back Alfred Morris only outpaced Breida by one carry, although the latter's 4.6 yards per tote was much more efficient than his teammate's 3.2 figure. All eyes will be on the division of labor in the San Francisco backfield during the early portion of the season in the wake of Jerick McKinnon's season-ending knee injury, and it remains to be seen if Sunday's results prove to be the norm over the long term. Breida will look to build on his Week 1 performance against the Lions in Week 2. Breida is listed as the top running back on San Francisco's depth chart ahead of its Week 1 matchup against Minnesota. Breida (shoulder) is expected to share starting duties with Alfred Morris following Jerick McKinnon's placement on injured reserve, Cam Inman of The Mercury News reports. Breida's role is expected to increase after Jerick McKinnon tore his ACL during Saturday's workout, Matt Barrows of The Athletic Bay Area reports. Analysis: On the same day that Breida gained medical clearance from a separated shoulder suffered early in the preseason, the 49ers took a massive hit to their backfield depth. Breida likely is more suited for a change-of-pace role due to Alfred Morris' lack of pass-catching chops. However, Breida proved himself effective on the ground as an undrafted rookie last year, tallying 4.4 yards per carry on his 105 rushes. Coach Kyle Shanahan said Breida (shoulder) has been medically cleared, Nick Wagoner of ESPN.com reports. Breida (shoulder) did conditioning drills in full uniform at Tuesday's practice, Cam Inman of The San Jose Mercury News reports. Breida (shoulder) is doing individual conditioning work at Tuesday's practice, Cam Inman of The San Jose Mercury News reports. 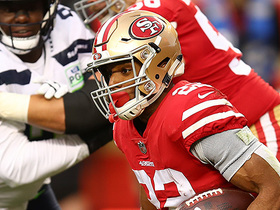 Analysis: The 49ers quickly ruled Breida out for the rest of the preseason after he separated his shoulder in the exhibition opener, but coach Kyle Shanahan said he expects the running back to be ready for Week 1. Look for Breida to ramp up his activity level in practice as the Sept. 9 opener against Minnesota draws closer. Any complications would create an opportunity for Jeremy McNichols, Joe Williams, Raheem Mostert or Alfred Morris to get involved in the San Francisco offense. Breida (shoulder) will miss the rest of the preseason, Adam Schefter of ESPN reports. Analysis: After an MRI didn't reveal any structural damage in Breida's separated shoulder, 49ers coach Kyle Shanahan said he expects the second-year running back to be ready for Week 1. However, the injury is still a small ding to Breida's fantasy prospects, as additional preseason work might have helped him make a case to take a large chunk out of Jerick McKinnon's workload. The Niners will turn to Joe Williams, Jeremy McNichols or Raheem Mostert for the No. 2 RB job if Breida isn't available Week 1. An MRI revealed that Breida's shoulder has no structural damage, and the running back is hopeful to be ready in time for the regular season, Tom Pelissero of NFL.com reports. Breida (shoulder) isn't expected to practice next week or play in the 49ers' second preseason game, Eric Branch of The San Francisco Chronicle reports. Breida is questionable to return to Thursday's preseason game against the 49ers with a shoulder injury. Breida has made an early impact in camp and has received reps with the 49ers' top offensive unit, Nick Wagoner of ESPN.com reports. 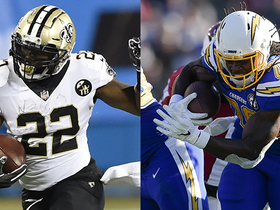 Breida should remain involved in San Francisco's running back rotation following the signing of Jerick McKinnon, Matt Barrows of The Sacramento Bee reports. Breida rushed for 72 yards on 12 carries and added 32 yards on his lone reception in Sunday's 34-13 win over the Rams. Breida ran for 74 yards and one touchdown on 11 carries against Jacksonville on Sunday. 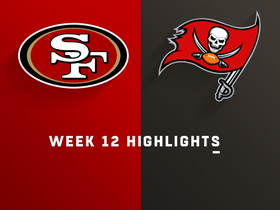 Analysis: Breida's touchdown was a game-sealing 30-yard score with 1:24 left in the fourth quarter, giving the 49ers an 11-point lead. 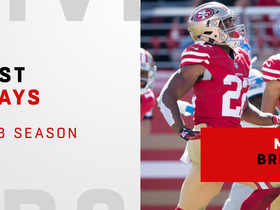 Breida has had a generally promising rookie season and he clearly has the burst and elusiveness to stick in the NFL as a change-of-pace runner, but the fact that Carlos Hyde saw 21 carries in this game indicates Breida is unlikely to emerge as more than a complementary contributor while Hyde is around. Breida (knee) isn't listed on the final injury report for Sunday's game against the Jaguars, Nick Wagoner of ESPN.com reports. Analysis: The 49ers have expanded Breida's role since Jimmy Garoppolo took over at quarterback, giving the rookie 29 carries the past three weeks. It will nonetheless be difficult to rely on any piece of the San Francisco offense, as the Jaguars have surrendered only 14 passing touchdowns and six rushing touchdowns all season. Breida (knee) was a limited practice participant Wednesday, Matt Maiocco of NBC Sports Bay Area reports. Analysis: Breida has enjoyed good health throughout his rookie season, playing in each of San Francisco's 14 games. His ability to practice in some capacity suggests he'll keep the streak going, but if not, Jeremy McNichols would serve as Carlos Hyde's backup Sunday against the Jaguars. Breida has seen a workload bump in Jimmy Garoppolo's three starts, taking 29 carries for 88 yards (3.0 average). Breida carried the ball five times for 16 yards and was not targeted in the passing game in Sunday's 25-23 victory over the Titans. Breida rushed 12 times for 27 yards and wasn't targeted in the passing game during Sunday's 26-16 win over the Texans. Analysis: Breida got 12 carries for the second consecutive game, finishing just two attempts shy of starter Carlos Hyde's 14 on the ground. Hyde showed why he's the clear-cut No. 1 option in this backfield, gaining 51 more rushing yards than Breida while also finding pay dirt from two yards out. Breida carried the ball a season-high 12 times for 45 yards against the Bears on Sunday. He hauled in his only target for four yards in a 15-14 win. Breida carried the ball once for 12 yards and added another 12 on his lone reception in Sunday's 24-13 loss to Seattle. Breida carried nine times for 55 yards and a touchdown during Sunday's game against the Giants. 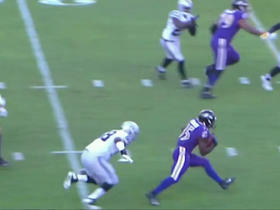 He also caught one of two targets for an additional three yards in the 31-21 win. Analysis: Quiet for much of the afternoon, Brieda put the game away with a 33-yard touchdown scamper midway through the third quarter. He was limited to 19 scrimmage yards on three touches last week, but the team leaned more heavily on the running game this time, enjoying a lead for the majority of the contest. Brieda continues to play second fiddle to Carlos Hyde and his role will remain dependent on game flow after the team returns from its upcoming bye week. Breida toted the rock just once for one yard, adding a pair of receptions for 18 yards in Sunday's loss to Arizona. Breida (knee) was a full participant in Friday's practice and doesn't carry an injury designation for Sunday's game against the Cardinals, Mike Jurecki of Arizona Sports 98.7 FM reports. 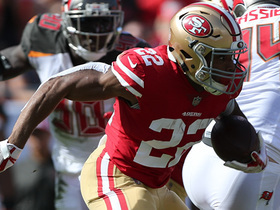 Analysis: Breida opened the week with a pair of limited practices, but his involvement in all drills Friday clears the way for him to serve in his usual backup role behind starter Carlos Hyde. Though Breida has logged no fewer than three carries in any game this season, his 3.9 yards per tote don't exactly make a compelling case for him to earn a larger workload. Breida (knee) was limited at Wednesday's practice, Eric Branch of the San Francisco Chronicle reports.